In the “Details” section, you give the survey a name ①. Next you can add a description. This won’t be seen by those taking the survey and is just for internal use ②. Once you have entered all this information, click “Save”. In the "Questions" section, you create the questions for your survey (this one is named Test Survey). Single select questions are used when only one answer should be chosen from a list. The amount of possible answers is unlimited. Multi select questions are used when it should be possible to choose several answers from a list. Again, the amount of possible answers is unlimited. Text field questions are used when an opinion is required and can be typed into this field. 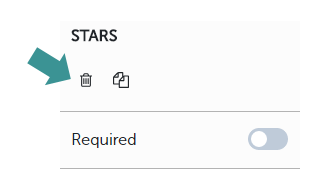 Questions with Stars enable easy rating using 1 star for the worst feedback and a maximum of 5 stars for the best feedback. 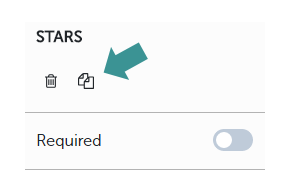 It is not possible to change the amount of stars used. In this type of question, you can choose how many smilies to use, anything between 2 and 6 is possible. Using the smilies, people can easily show how they feel about the topic. 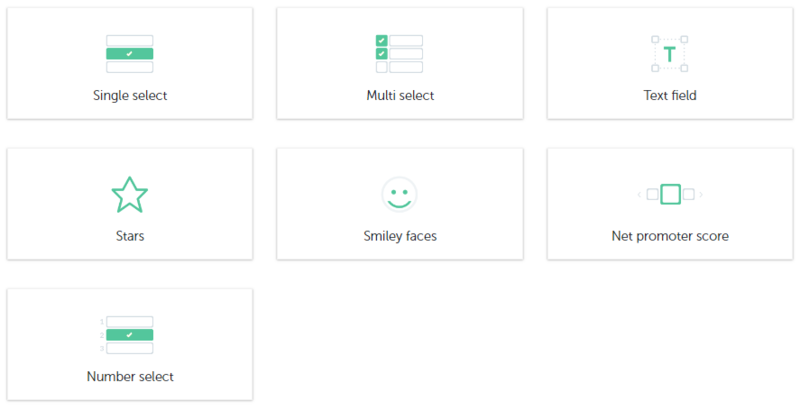 The description of each smiley can be entered individually. These questions offer a variety of possible answers. In the text fields, you can enter your corresponding response options and the defined scale can be seen on the left. The number of responses is unlimited. Please note that your employees will only see the response options. The scale on the left is used to calculate the average and median and will not be seen. Once you have chosen which type of question to use e.g. Smiley, it will appear on the left side. Type your question in the field above the smilies. On the right, you can choose the number of smilies you would like to use for this question, anything between 2 and 6 is possible. Below each smiley is a box in which you can add a label. 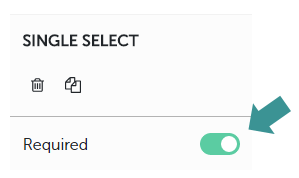 If you would like to make a question mandatory, just click on the button on the right of "Required" so it changes to green and is therefore selected. This means that it cannot be skipped and an answer is required in order to continue with the survey. then edit the question as appropriate. or just delete using the backspace key. To change the order of the questions, click on the question with your mouse, hold and move it to its new position. To preview your questionnaire and see how the questions will look, just click on "Preview" on the right. Once you have finished creating all of the questions, click “Save”. In the "Recipients" section, you choose who should take part in the survey. You can add either groups or individual employees. If you would like more detailed information about a particular group, click on the grey arrow on the right. and then choose the date and time. Once you have entered all the information, click on "Save". Either activate the survey immediately by choosing to "Activate now" on the left or choose a date from the calendar by clicking on "Activate later". 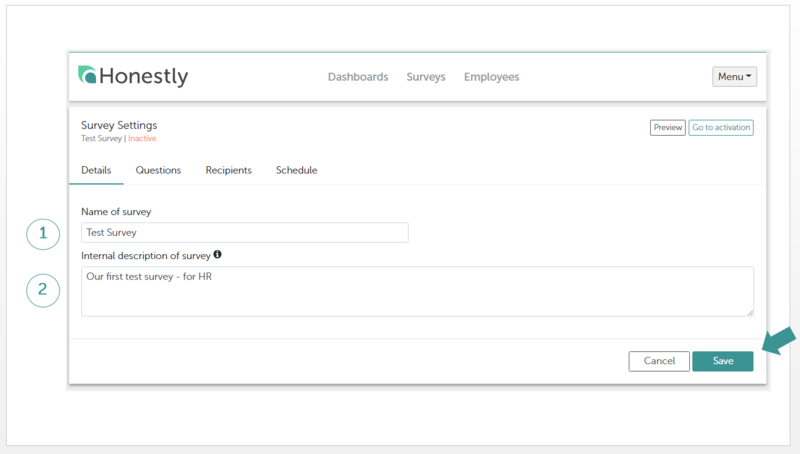 Also, choose whether the survey should have an end date or remain always open by clicking either "Survey does not expire" or choosing a date after clicking "Survey expires on". When this is complete, save your changes by clicking “Finish”. To find out more about push notifications and our email function, click here. Our blog post might also be interestig for you. Read here!